Cucumber, Cucumis sativus, is a very well-known plant in the gourd family, Curcurbitaceae. This cylindrical fruit, used as a vegetable in culinary preparation, comes in multiple varieties that include slicing, picking, and burpless. The cucumber was originally cultivated in South Asia, but you can find it on almost any continent now. Cucumbers are an obvious choice as a salad topping, like in my Seaweed Salad and Green Salad with Thai Dressing, but I also like them just as a salad on their own (Simple Cucumber Salad). 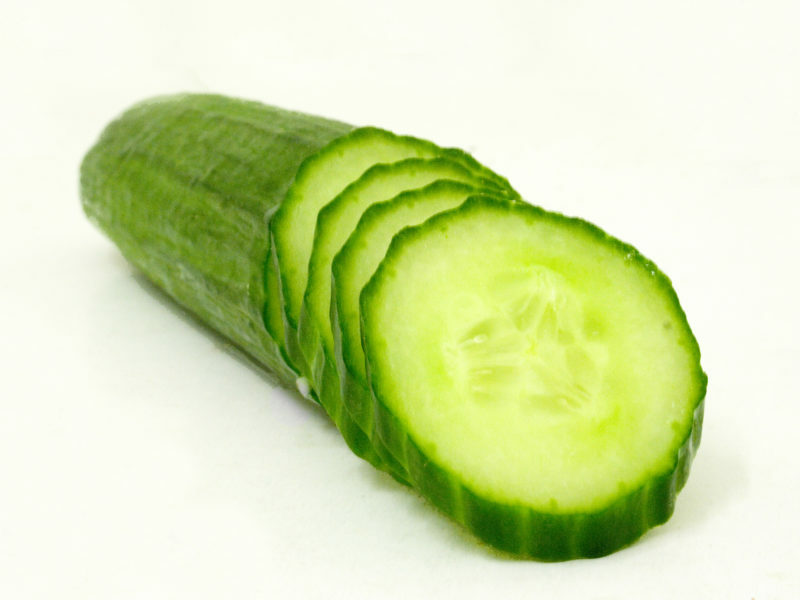 From a nutritional standpoint, cucumbers are 95% water, and their micronutrient content is rather unexciting; 100g of cucumber holds 16% of the RDV for vitamin K1 and small or trace amounts of the majority of the rest of the dietary vitamins and minerals. Cucumber is a warm season plant and have a long growing time, so you can find them at your local farmers’ market in late summer. Otherwise, they are so widely-cultivated that you can pick them up year-round at any grocery store.